The methods of obtaining cryptocurrency have changed over the years. In order to obtain cryptocurrency you would at first have to mine it yourself or know someone with the cryptocurrency. Luckily, Obtaining cryptocurrency has gotten easier over the years. Currently, there are multiple ways to get cryptocurrency. 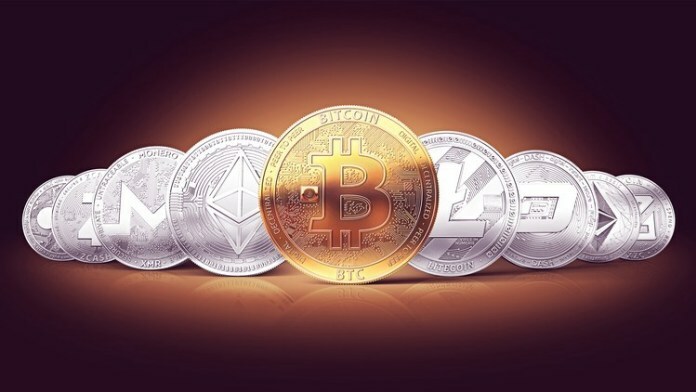 In this article, we will explain the different methods to obtain cryptocurrency but also explain the pitfalls of an exchange and why you should perhaps be using an alternative method to get cryptocurrency. 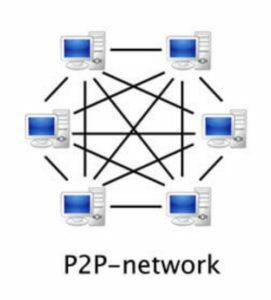 At the dawn of the cryptocurrency industry, over nine years ago, users looking for Bitcoin only had one option, that was to contribute their computational hashing power to the network. But as the space began to develop, trading networks developed, with peer to peer transactions becoming the main bridge between the fiat and crypto world. Now, there are multiple ways to obtain any cryptocurrency. We wanted to create a new alternative method to obtaining cryptocurrency. We came up with the idea of transforming the things you own into cryptocurrency. With Forra, the new way to obtain cryptocurrency is by selling your items for the cryptocurrency of your choice. Obtaining your cryptocurrency from an ecommerce marketplace is a far lower risk and barrier of entry compared to the old way of obtaining bitcoin and cryptocurrency. The ‘Bitcoin Pizza’ event was the first example of a user receiving bitcoin for a physical item, where a user by the name of Laszlo bought two Papa John pizzas for 10,000 Bitcoins. This event has now become one of the most notorious events in cryptocurrency history, as the value of 10,000 Bitcoin now sits at over $60 million dollars. But as retail volume started to flow in, and investors started to pile into the industry, it quickly became apparent that more efficient and robust systems were needed. This need hailed in the first centralized cryptocurrency exchanges, namely the now-infamous Mt.Gox exchange. 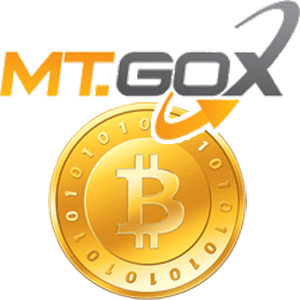 Mt.Gox was a Bitcoin and Litecoin exchange based in Tokyo, Japan, and was launched in July 2010. The exchange gained popularity within the cryptocurrency community, processing 70% of all Bitcoin exchange volume at its peak. Mt.Gox is the Coinbase of today. Mt. Gox was one of the few bitcoin exchanges at the time. The vast majority of people were obtaining bitcoin through an exchange. However, this Japanese exchange was never 100% reliable or secure as a way to obtain crypto, as it began to suffer to a string of glitches, errors and hacks. The first issue came one year after the Mt.Gox launch, when a hacker allegedly compromised an auditor account, illegally transferring bitcoin to the hacker’s personal account. The hacker then managed to drop the price of Bitcoin down to one cent on the exchange, affecting accounts with the equivalent of more than $8.7 million in Bitcoin. This ruined the go to method to obtain bitcoin and ended up spawning a ton of better alternative ways to obtain any cryptocurrency. Although the issue was quickly rectified, the damage to the exchange’s reputation remained. After a series of negative events, namely the 850,000 Bitcoin hack, Mt.Gox finally shut its doors to traders, entering a bankruptcy and liquidation process in April 2014. The exchange became one of the first examples of the multitude of issues with exchanges, which are still present to this day. Mt. Gox has taught the cryptocurrency community a lot. You can not put your entire trust into an exchange. The best alternative to buying cryptocurrency through an exchange is using it as a currency. There are plenty of other good ways to earn crypto. Although exchanges have become much more reliable since the Mt.Gox debacle, this reliability has come at a cost, specifically with KYC/AML rules. Exchanges that offer fiat to cryptocurrency transfer are subject to extremely strict KYC rules that often take weeks to process. Luckily there are alternative ways to get cryptocurrency. Even once you receive KYC verification, many exchanges impose limits on the amount of cryptocurrency you can buy and sell, disallowing larger transfers. This has irked more than a few customers, with many angered consumers taking to the social media pages of exchanges to express their dismay. Despite reaching valuations in the billions, the cryptocurrency exchanges which are so integral to the cryptocurrency industry are no stranger to hacks and security breaches. Take the most recent examples of Bithumb, Coinrail, and CoinCheck which all lost millions of dollars worth of consumer funds, often due to negligence. Decentralized exchanges (DEX), while being hailed as the “future,” are still susceptible to hacks. Bancor, a premier DEX, recently suffered a smart contract security breach that allowed for a hacker to drain the Bancor smart contract, taking over $24 million in cryptocurrencies. Although technologically-adept users may find using exchanges to be a piece of cake, the layman may find it to be a difficult way to obtain cryptocurrency. In fact, many consumers cite ease-of-access issues as a leading reason why they avoid making investments in the industry. There are a ton of new ways to obtain cryptocurrency coming out that make it easier than ever to obtain your favorite coin. Fees have become the ‘talk of the town’ in the cryptocurrency industry, as trading fees can take a chunk out of your stash over time. Although traditional markets are often berated by cryptocurrency enthusiasts, fees (or lack thereof) on platforms like E*Trade and Robinhood are dwarfed by the fees seen on crypto exchanges. Withdrawal fees, coupled with trading fees, can often reach 0.1%-0.2% on the top exchanges. While 0.1 or 0.2 percent may sound like a negligible figure, it can quickly rack up, with a user making $1 million in trades being subject to $1000 fees. On fiat to cryptocurrency trades fees can be even worse, with many platforms like Coinbase taking 3-4% fees on each fiat-backed buy or sell order. 3-4% fees are absolutely ludacris, with some turning away the offer to buy cryptocurrencies for fiat due to the fee. The adoption is coming, soon there will be services that allow people to obtain cryptocurrency without directly buying it. It has become apparent that many traders are beginning to question the fee structures of exchanges, attempting to turn to other options to obtain cryptocurrencies. Forra is a cryptocurrency-based online marketplace DApp (Decentralized Application) that attempts to remove the barriers and issues seen with classic services like EBay. Additionally, Forra intends to become a great alternative for consumers to obtain cryptocurrencies without spending fiat. Ever since the bull run of 2017-2018, demand for cryptocurrencies have absolutely skyrocketed. However, the average joe, someone like you or I, may not hold the fiat funds required to make an investment into the financial space, let alone an investment in cryptocurrencies. There needs to be an alternative to obtaining cryptocurrency. DApp, which is currently in development, is on track to be a well-designed and easy-to-use platform to obtain crypto. Forra allows you to sell your items for cryptocurrency. You can sell your items on our marketplace or sell them directly to us. Both are great alternatives to buying cryptocurrency. As mentioned earlier, it will be as easy as signing up on the platform, and saying farewell to products you don’t think you have a use for anymore. Traditional online marketplaces, like eBay and Amazon charge exorbitant fees for sellers, occasionally charging upwards of 14%, and even more if you are looking to promote your item through advertisements. On the other end of the spectrum, there is Forra, which plans to offer a “fee free marketplace for entrepreneurs to build a business on top of,” with the only fees being Ethereum gas fees to facilitate and verify functions on the smart contract. We think that by creating a zero fee way to obtain cryptocurrency the rate of adoption would be much higher throughout the entire industry.